Though the plot of the ballet Swan Lake is pulled very loosely from a few existing tales, it was basically created for the ballet itself. Given that it reflected the values of a few men in 1895, the gender roles in the ballet are very cliche. In fact, the last time I saw the ballet I found myself bored with Odette and Siegfried's characters-Siegfried spends the vast majority of his time looking perplexed, or trying to find Odette, who looks scared and woeful the whole time. My favorite character was Odile, who has not only the flashiest moves but at least looks like she enjoys dancing. "We do know that Tchaikovsky had much control over the stories content. He and his colleagues both agreed that the swan represented womanhood in its purest form. The stories and legends of swan-maidens date as far back as ancient Greece; when the Greek god Apollos was born, flying swans circled above their heads. Legends of swan maidens can also be found in The Tales of the Thousand and One Nights, Sweet Mikhail Ivanovich the Rover and The Legend of the Children of Lir. " This view of women is frowned upon by most people in Western culture today. 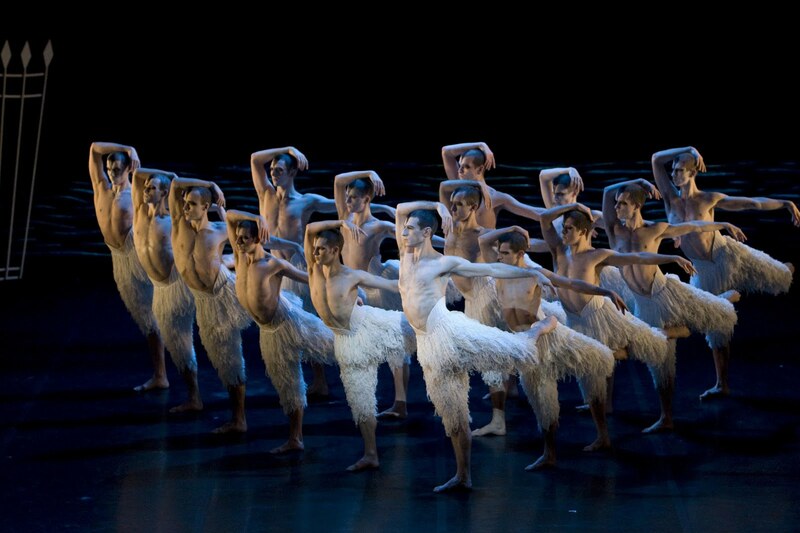 The ballet has been reinterpreted by Matthew Bourne with a corps of male swans, challenging preconceived notions (this is the production Billy Elliot stars in, if you saw the movie). Bourne said, "The idea of a male swan makes complete sense to me. The strength, the beauty, the enormous wingspan of these creatures suggests to the musculature of a male dancer more readily than a ballerina in her white tutu." It's true that the power of the male dancer is extremely impressive-while the female can acheive the affect of defying gravity by dancing en pointe, the male can do so simply by the strength of his jumps, seeming to linger in the air for longer than humanly possible. Then of course there's the Mercedes Lackey novel, Black Swan, which I've mentioned multiple times before, but I really prefer Lackey's compelling characters. Though the prisoners of Von Rothbart are still victims, Lackey's females have depth and dimension and her unique take on Odile's character is just wonderful. Minor correction: The Wild Swans is actually an Andersen tale and one that really accentuates the female protagonists suffering, similar to his The Little Mermaid. The Grimm fairy tale "The 6 Swans", is very similar, but stinging nettles as the materials the shirts have to be made of are an Andersen invention (and very typical of Andersen if I might say so ;). Birds have been associated with female suffering for a long time, so Tchaikovsky didn't have to reach too far. But as you've demonstrated that usually the female protagonist was human and suffered for her relatives or lover. The male protagonists, while cursed to be birds, were not the focus of the story (only at the end if a brother keeps a wing instead of an arm or turns blind our sympathy goes to him). However there are cases when a woman gets turned into a bird. Usually after being replaced being replaced by a female rival and/or impostor. And usually the bird she turns into is a duck, an animal associated with water, rather than air. I don't make this connection randomly, since folktales featuring this story line which you may know from "The White Duck", one of the inspirations for Swan Lake, have her turn into a fish instead. Perhaps that is the explanation for the contradictory associations that Swans trigger: They are creatures of the air, even more so than ducks (at least the ducks we know nowadays, that have been bred to look pretty and stay on their pond rather than fly well), but also creatures of the water. I don't know why air represents masculinity and water feminity, but that connection has been part of our folklore for a long time. (It would be interesting to find out if Europe is alone here or if that association can be found around the world.) Therefore Swans lend themselves to male and female readings, which can both be supported by other traits of the swan, such as its slim figure as opposed to its strength. This is also how Swan Maidens fit in: I didn't mention them above, because they are not cursed into their form, they choose it. Some stories imply they are birds turning into women, rather than the other way around. They are then literally and figuratively robbed of their ability to fly away by the male protagonist. When she looses her connection to the air, she becomes a human woman, dependent on a man. Or am I reading too much into that? Yukari and Julia, so many great insights! At least today, there are so many amusing contradictions in how we perceive animals and how they actually act-so many of them look cute and cuddly and are featured as stuffed toys and popular on children's clothes, but can be quite fierce. Maybe it's just a natural tendency to make assumptions about animals based on appearance? When I have more time I would love to look more deeply into swans and fairy tales-I'm not familiar with "The Children of Lir" or "The Dream of Oenegus"...or maybe one of you would be willing to write a guest post?? 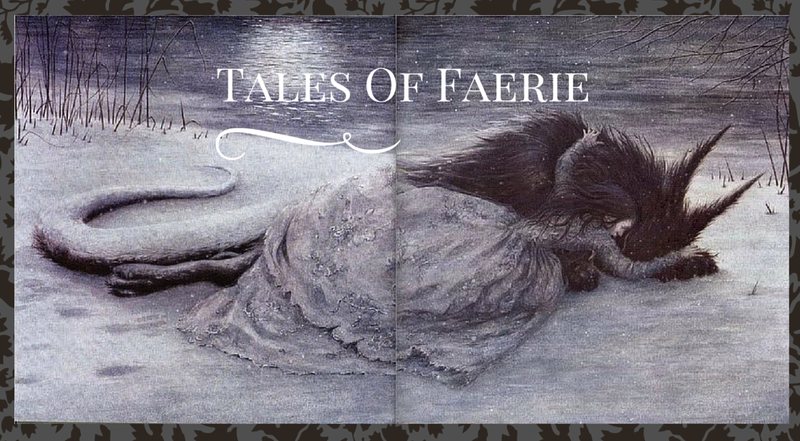 My post on Swans Maidens from "Fairy Tale Fashion" touched a bit on the transformations and female suffering attached with swans: http://talesoffaerie.blogspot.com/2016/06/fairy-tale-fashion-swan-maidens.html but clearly there's more to dig into!